Jah Jerry, Inc. is a nonprofit 501(c)(3) charitable organization, for the purpose of promoting education on a national and international level by providing educational assistance to students who major in music. We also will assist schools in acquiring learning equipment such as computers and musical instruments. 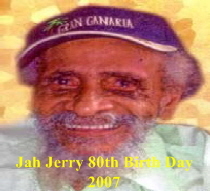 Jah Jerry was born Jerome Haynes and went on to enjoy a long and storied career in the Jamaican popular music business. Haynes was one of the founding members of the legendary Skatalites, for whom he played guitar. He gained his early training on the guitar from Ernest Ranglin in the late 1940s. Ranglin and Haynes would go on to work together as members of producer Prince Buster’s studio band. In the early 1950s he began playing in regional bands and eventually put in session time with every important reggae producer on the island. He worked in the studio for producers such as Count Boysie, Clement “Coxsone” Dodd, Duke Reid, Prince Buster, and many others. In 1964, the original Skatalites formed and Haynes was the third official member. Through the influence of his teacher, Haynes added jazz chords to the group’s material. From the ska to rock steady to reggae styles; Haynes continually pushed styles of Jamaican popular music forward. In addition to his work with Skatalites, Haynes also recorded with Reggae luminaries such as Jimmy Cliff, Desmond Dekker, Bob Marley and the Wailers, and others. 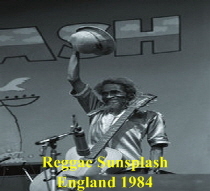 Material by guitarist Jerry “Jah Jerry” Haynes remains popular, and many of the recordings that he appeared on are considered essential listening to reggae fans internationally.